The Overwatch World Cup is set to kick off its Group Stages in August, but those players do need somewhere to play. 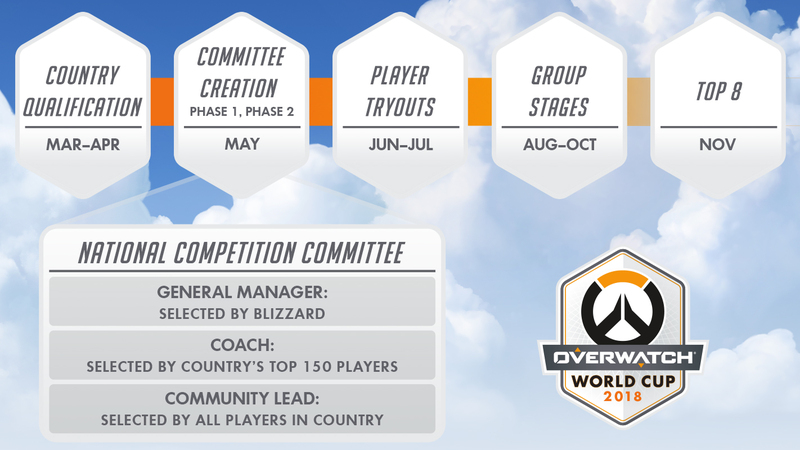 On Wednesday, Blizzard got that piece of the puzzle out of the way by announcing the venues that will house the OWC Group Stage games. The Group Stages will be contested in a venue in each of the tournament's four host countries. The South Korean group will play at the Studio Paradise in Incheon from August 17-19. The Thailand group will battle it out from the Royal Paragon Hall in Bangkok from September 14-16. The French group will venture to the Espace Grande Arche in Paris from September 21-23. And then there's the American group, which will congregate at the Blizzard Arena in Burbank, home to the Overwatch League. The American region will compete from September 7-9. Once Group Stages are concluded, the last teams remaining will move on to compete at BlizzCon in November for the right to call themselves champions. Tickets are set to go on sale soon. For more details, be sure to visit the Overwatch League website.